This easy apple pie recipe from Arleen’s Catering Recipes and Family Favorites will make it look like you spent all day in the kitchen. In a large mixing bowl, mix dry ingredients. 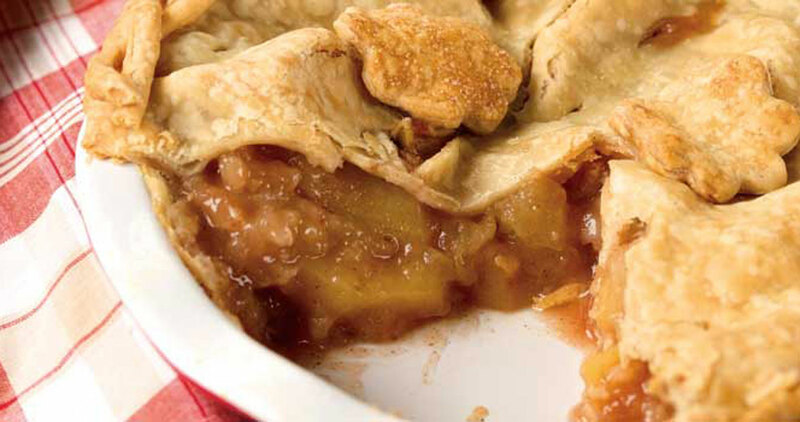 Toss the apples in the dry ingredients, and layer in a pie pan that already has a bottom crust. Sprinkle the remainder of the sugar mixture over the apples, and dot the apples with slices of the butter. Next, cover the pie with a top crust, and cut a couple of slits in the crust. Sprinkle about a teaspoon of white sugar on top of the crust for a browning effect. Bake for 45 to 50 minutes in a 350° oven, or until the top is golden.